Reading with Mrs. D: Question of the Day: Did My TPT Purchase gave an Update? 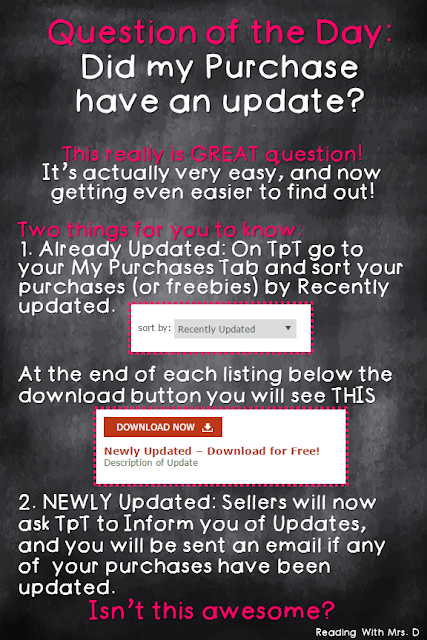 Question of the Day: Did My TPT Purchase gave an Update? I realized this lovely teacher may not be ALONE in not knowing how to easily find out, so I made you this AWESOME graphic to help you out. I hope it answers any concerns! How do you find dollar deals on TPT?